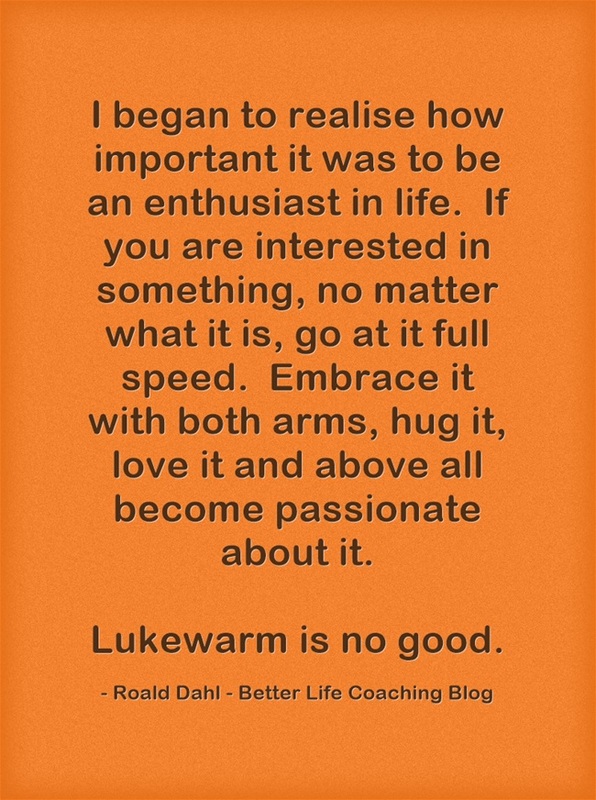 I began to realise how important it was to be an enthusiast in life. If you are interested in something, no matter what it is, go at it full speed. Embrace it with both arms, hug it, love it and above all become passionate about it. I don’t know what your goals are in life, but I agree with Dahl. There’s no point being half-hearted. You won’t get anywhere if you don’t give it everything. And life is boring when we just go through the motions. But with passion, there are no limits to what you can achieve. If you bring love and energy to your work, it has more purpose and meaning. And with enthusiasm, the motivation to do the work required for greatness comes from within. There are enough lukewarm people in the world. We need you to bring some heat. Previous post – What Are They Driving Past? « What Are They Driving Past?